Our Charity of the Year is the Alzheimer’s Society, in memory of my mother and in support of my friend Elizabeth. Over the course of 2014, our charitable efforts will be centred on them. An interesting American blog article, asking if lawyers have the necessary skills to carry out a redesign. To some extent, this ties in with the principles of Business Process re-engineering – that introducing IT to a process allows (and requires) it to be streamlined. So under a paper system, an insurance salesman might send a memo to their boss asking them to approve a policy. With a computer based system, the memo probably does not need to become an email – perhaps the boss just needs an approval screen with a list of policies awaiting approval, with links to risk details and a yes/no button. I suspect most lawyers need assistance with this. But there is a difference between lawyers and insurance companies. In most cases, a lawyer has a counterpart, either acting on the other side in litigation, or representing the other party in a transaction. This makes re-engineering the fundamental legal process difficult in the extreme, unless done by fiat as in the case of litigation reforms. As an example, when I was still in practice, I tried at one stage to change “witnesseth” to “witnesses” in deeds. I spent so long arguing over whether there was a difference in meaning that I gave up. 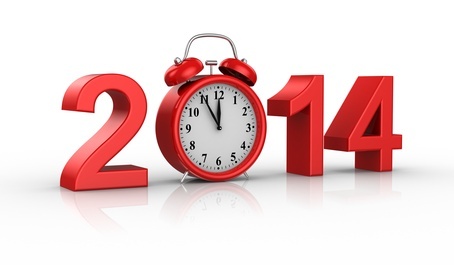 I hope you have a happy, healthy and successful 2014.